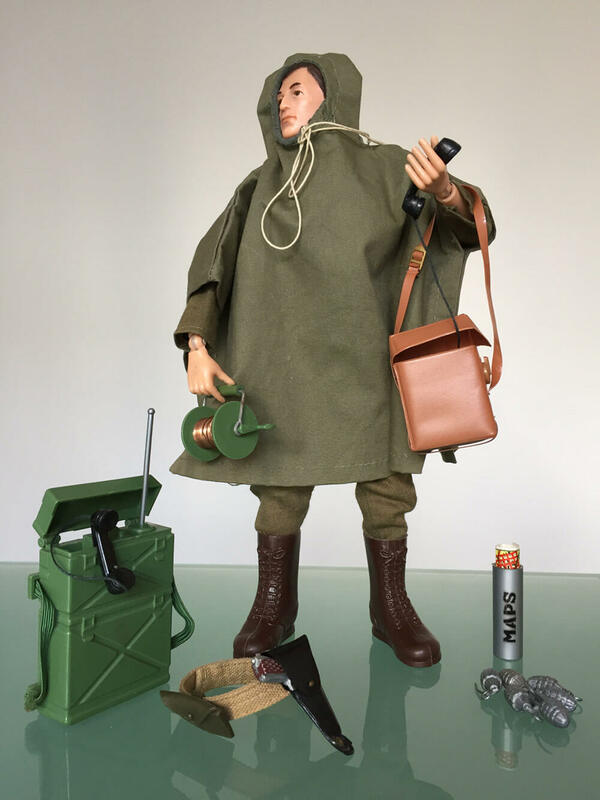 Brown boots and fatigues are needed from the basic Action Soldier figure. 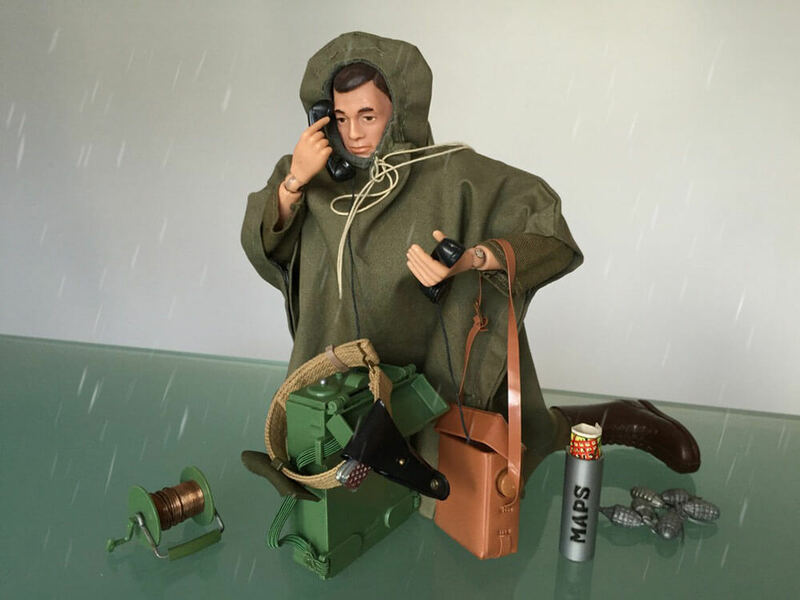 ACTION MAN COMMAND POST CAPE SET: Field telephone and case, Field radio, wire roll, Colt .45 pistol, holster with red leg tie, pistol belt (with slider), map, map case, . 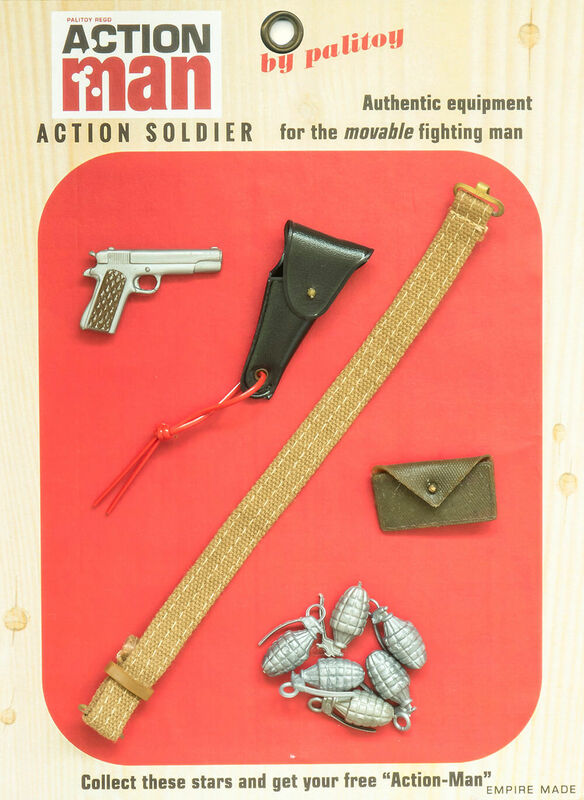 ACTION MAN COMMAND POST SIDE ARMS SET: Colt .45 pistol, holster with red leg tie, pistol belt (with slider), grenades x 6, first aid pouch. ACTION MAN COMMAND POST CAPE SET: Hooded cape. 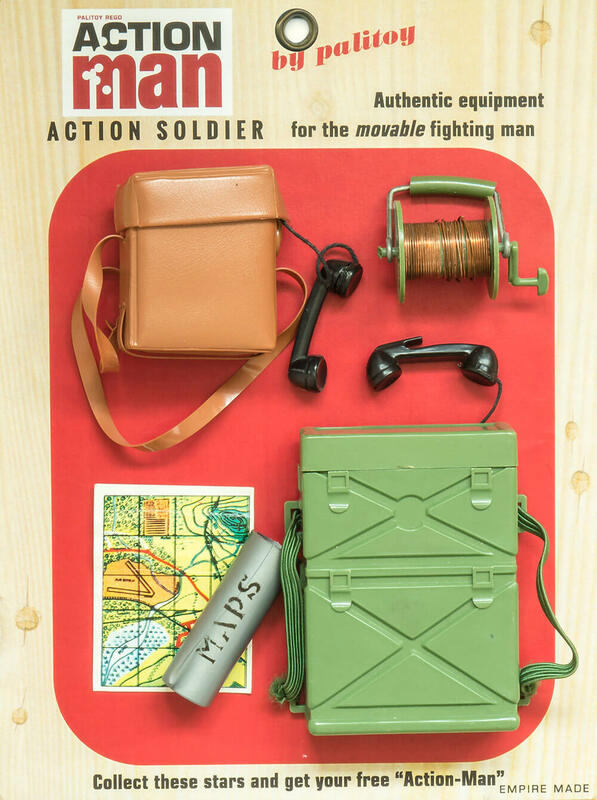 COMMAND POST FIELD RADIO AND TELEPHONE SET: Field radio, field telephone and case, wire roll, map, map case. 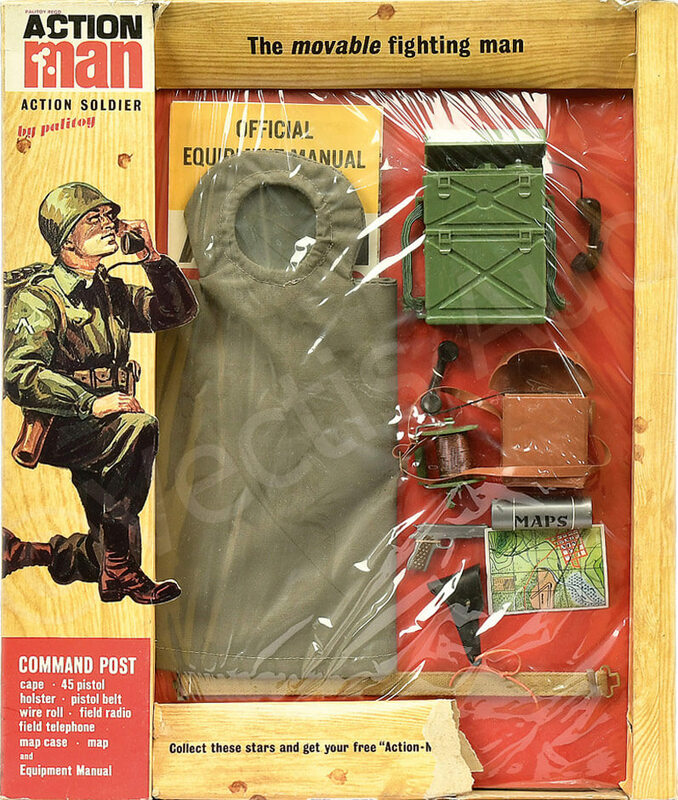 ACTION MAN BEACHHEAD ASSAULT JUNGLE TUNIC: Camo tunic. 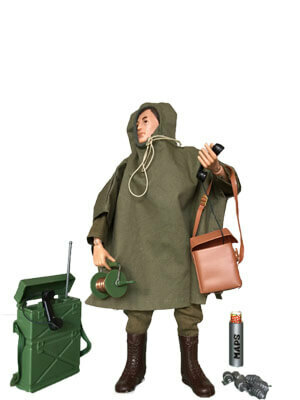 ACTION MAN BEACHHEAD ASSAULT JUNGLE PANTS: Camo pants (trousers). 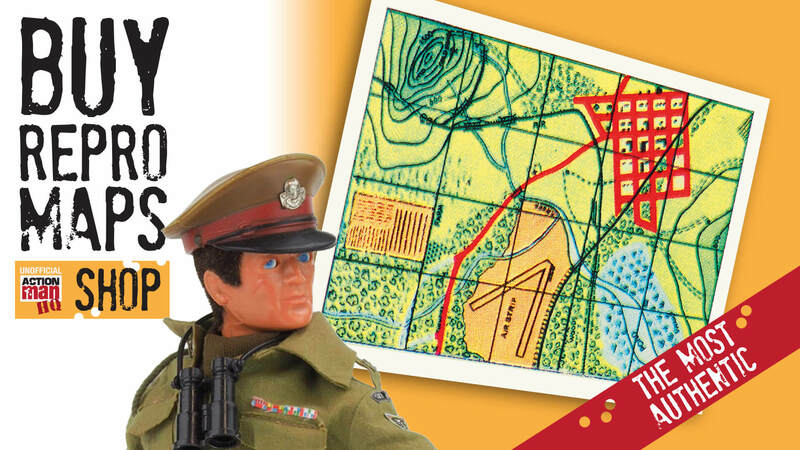 The Action Man Command Post Sets create the Action Man pictured below ready for communications in the field, in all weathers. 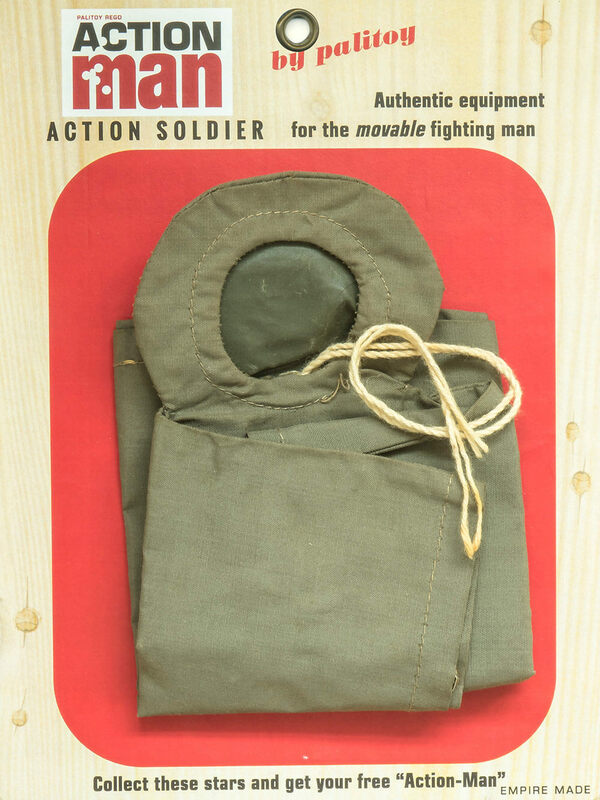 The Cape on its own card only appeared in the first Equipment Manual, the small arms and telephone equipment accessories made it into the 1968 Action Man Equipment Manual as well. 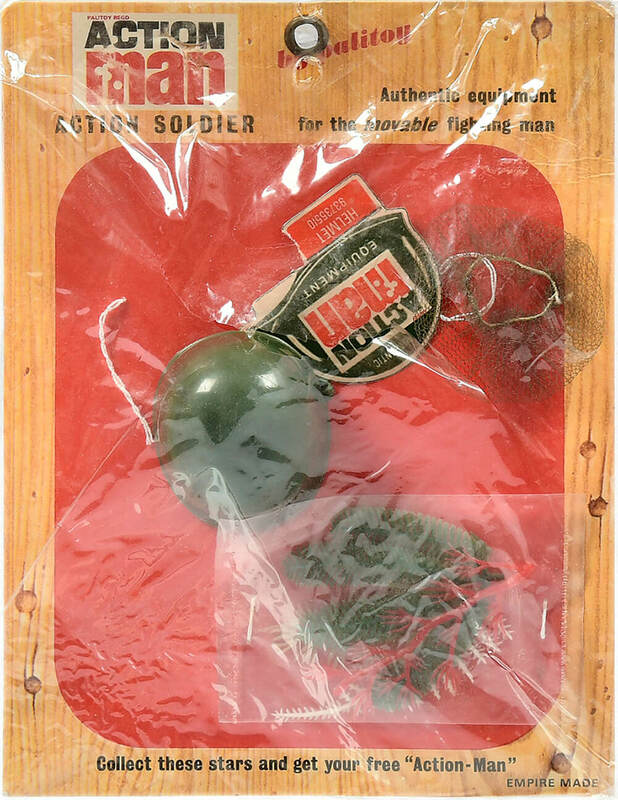 Many other accessories were available for pocket money prices, and it would have taken a few trips to the toy shop to get a completely kitted out Soldier. 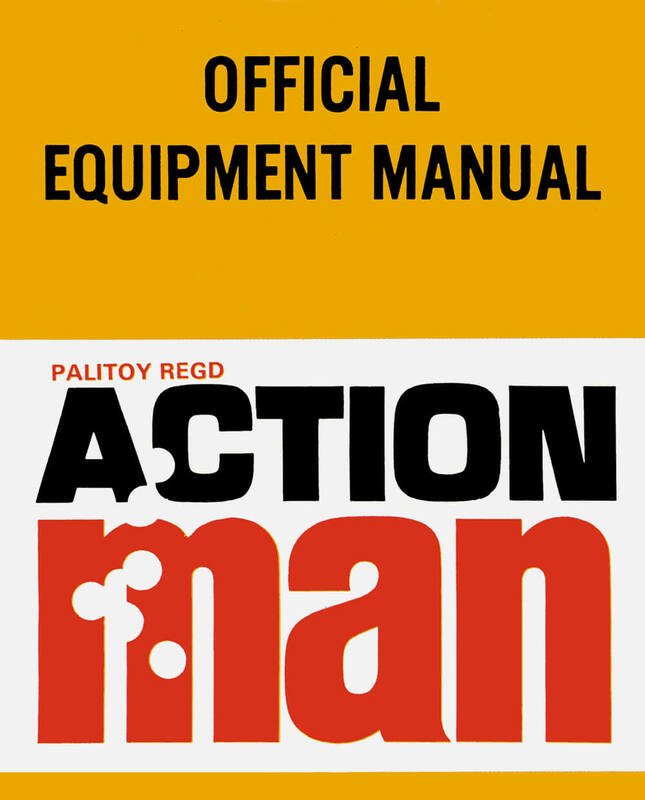 The Army Manual (that was included with the boxed Action Soldier) had details of how to set up Action Man figures, and the accessories available.